Celebrate love with its best expression! 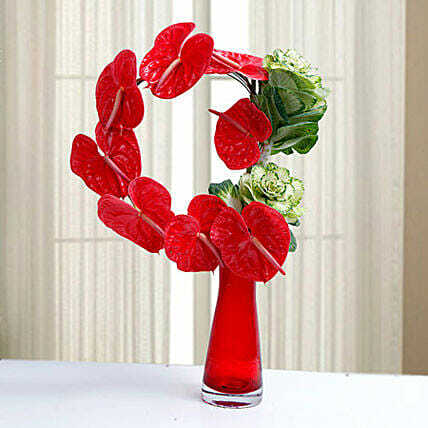 This red vase arrangement comprising of red anthurium and cabbage flowers have been arranged festively to form enthralling flower arrangement. With pristine look and impeccable arrangement, it makes perfect gift for wedding, anniversaries or even days when you are trying to woo someone.